If there's one company in Quebec that I support when it comes to any type of celebration, it's Première Moisson. I remember how simple it was for me to plan my sister's first baby shower with the help of their catering service. I also made a bunch of my friends quite happy on the morning of a beautiful weekend getaway in the country by serving a lot of delicious pies from their apple season menu. 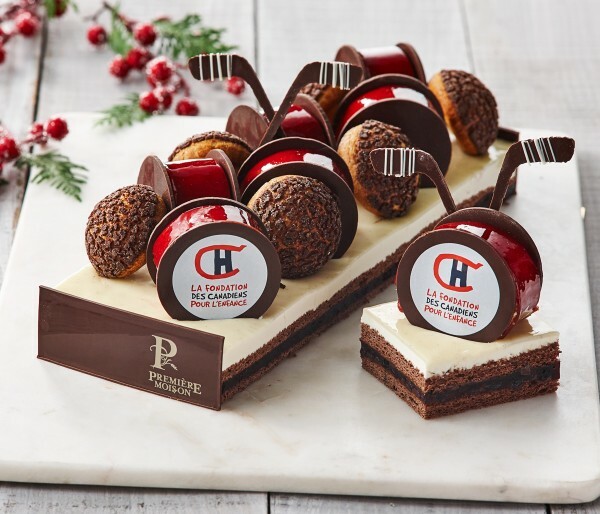 When it comes to the holiday season, Première Moisson knows how to step it up. After spending a solid evening in their company last week, I got to try a lot [too many really] of bites from the current menu. Since I sacrificed myself for you all, I thought I'd share with you some of my favourite bites from both the catering menu and what's found in-store! What's fun about the items below is that they're available all year round but they really do go well with the winter season. 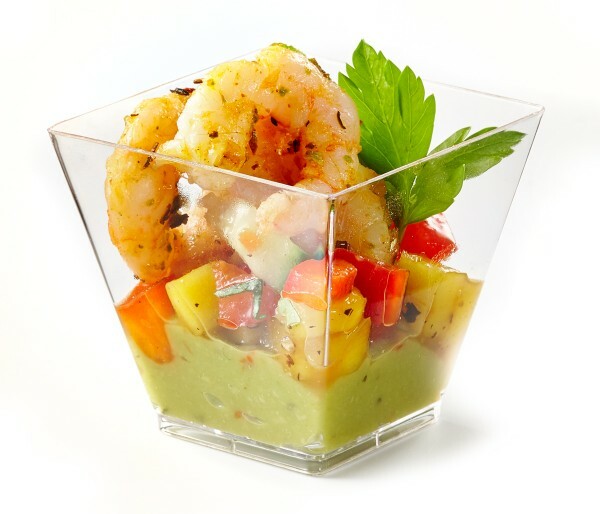 I could easily eat 10 Shrimp, Mango Salsa & Guacamole verrines in a row. It's such a satisfying bite and will please all your friends who eat gluten-free (or try like I do 🙋). I could also eat 10 of those Assorted Pastry bites which is bad news for my current diet. The Orange Duck Terrine, Pineapple & Brandy Jam on Country-Style Bread was such a satisfying bite. Finally, if you want to impress your guests, it's easy to do so with the Duck Foie Gras, Raspberry with Peach & Champagne Jam & Maple-Apple Confit on Brioche Bread. I'm not even a fan of foie gras but I really enjoyed the flavour combination here. Now the items below are what I get excited about in this particular season! You can never go wrong with this Chocolate-Cranberry Bread! This Spicy Muffuletta and Mozzarella Baguettine was a revelation to me. Who can say no to a mix of cheese, olives & jalapenos all stuffed in a baguette?! If you mean to impress your guests on the savoury side, you really can't go wrong with this salmon log. It's as beautiful as it tastes. I would buy it weekly if they made a mini version of it! I can't talk about Première Moisson during the holiday season and not mention how awesome they are with their yearly log. Every year, the bakery chain chooses a non-profit to collaborate with and creates a log in their honour. On top of conceptualizing something beautiful and spreading the word out, they also give $20 from each log sold to the non-profit of the year. 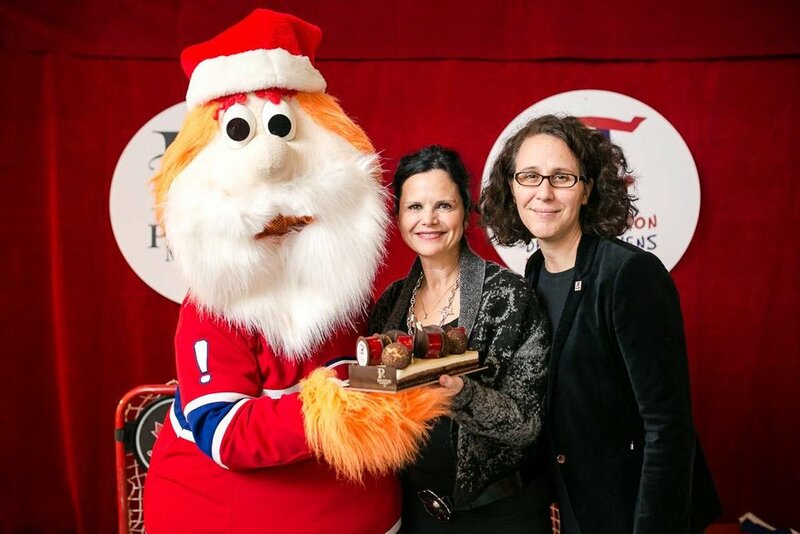 This year, La Fondation Des Canadiens Pour L'Enfance is the star. This foundation aims to promote physical activity & a healthy lifestyle among underprivileged youth between 4 and 17 years old. The Glory Signature Log is a treat for the chocolate lover. I discovered sweetclover by trying it, a vanilla-like essence from Québec. And don't take those pucks for granted, they're filled with a different cake and ended up being my favourite part of the log! 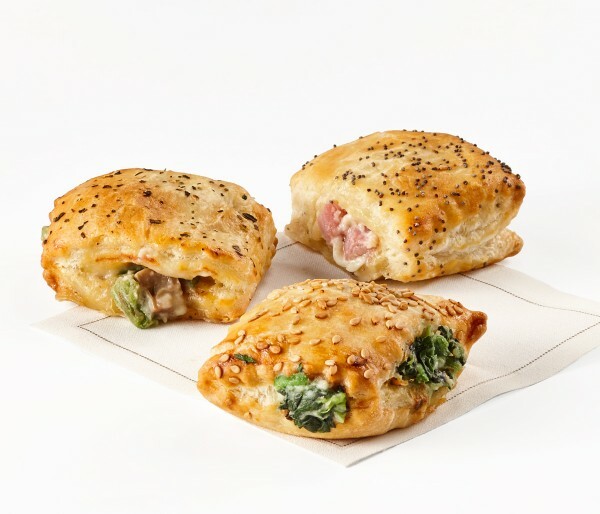 The last item I had my eye on was the new Galette des rois filled with a mix of pistachios and raspberries. 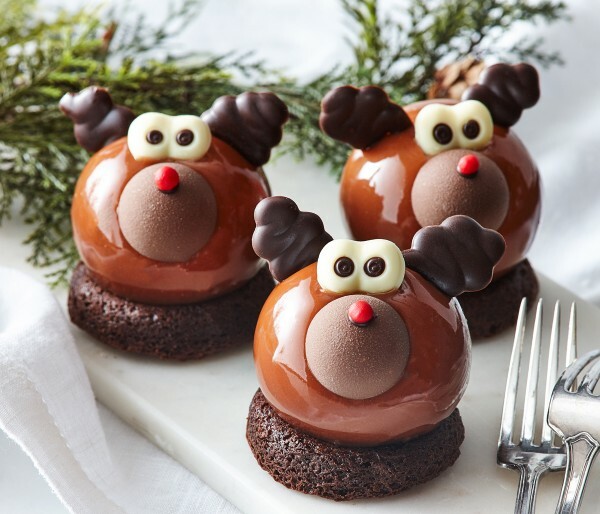 So if your resolution isn't to go on a diet come January 1st, I would run to the store and pick one of these up right on time for January 6th! Well, that covers it for Première Moisson. For the prices, the selection and the fact that we are supporting a beautiful family business, I invite you to check them out and treat yourself!